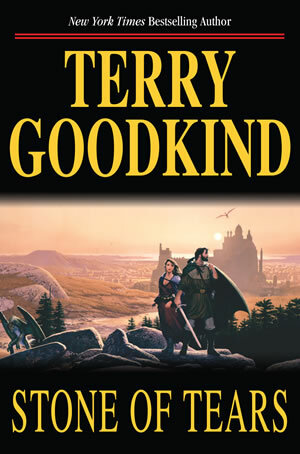 The Sword of Truth is a series of seventeen epic fantasy novels written by Terry Goodkind. 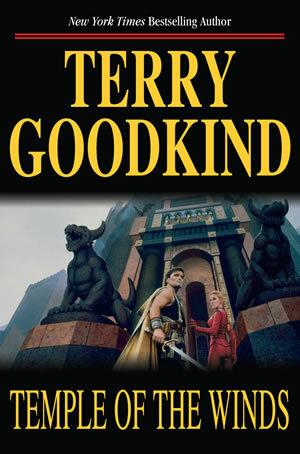 The books follow the protagonists Richard Cypher, Kahlan Amnell and Zeddicus Zu’l Zorander on their quest to defeat oppressors who seek to control the world and those who wish to unleash evil upon the world of the living. 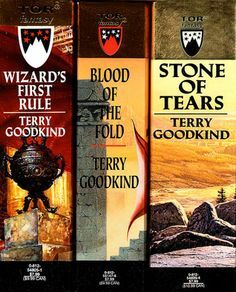 While each novel was written to stand alone, except for the final three that were intended to be a trilogy, they follow a common timeline and are linked by ongoing events that occur throughout the series. 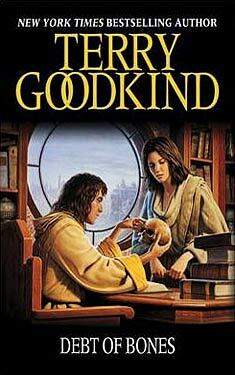 Wizard's first rule is the forst book in Terry Goodkind's epic fantasy series The Sword of Truth. Richard Cypher's decision to help a woman in the Upper Ven near the Boundary between the Midlands and Westland creates more trouble than first appears. The woman, Kahlan Amnell, seeks the help of a wizard in the Westland, and she brings with her dark news from the other side of the Boundary: Darken Rahl, Ruler of D'Hara, has brought down the Boundary between D'Hara and the Midlands. This menacing ruler continues his dead father's quest for control by pressing war on the now vulnerable Midlands. 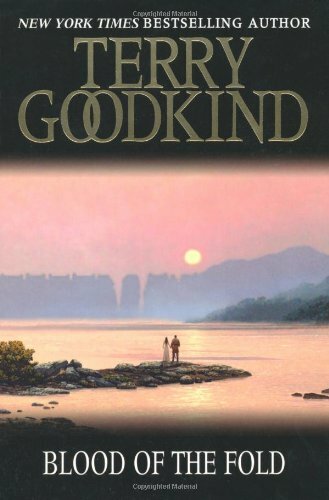 Kahlan is attempting to find the great wizard who had left the Midlands for the Magic free Westlands due to the corruption of the government in his eyes, so as to have him Name a Seeker of Truth. The great wizard turns out to be Zeddicus Zu'l Zorrander, Richard's longtime friend, who then proceeds to name Richard the Seeker. 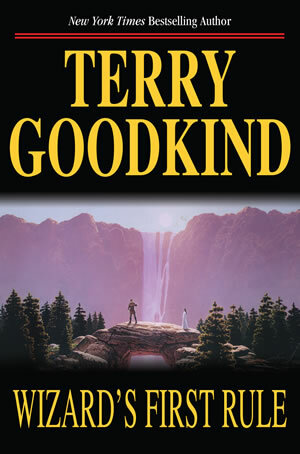 Stone Of Tears is the second book in Terry Goodkind's epic fantasy series The Sword of Truth. With Darken Rahl defeated, Richard and Kahlan head back to the Mud People to be married. As they wait for their wedding day to approach, they discover three Sisters of Light are pursuing Richard, intending to take him back to the Old World to be trained as a Wizard. Additionally, unbeknownst to Richard and Kahlan, the veil has been torn and the Stone of Tears has entered the world. According to prophecy, the only person who has a chance at closing the veil is the one bonded to the blade, the one born true. Prior to the start of Blood of the Fold Richard comes to terms with his true identity as a War Wizard (a powerful wizard with both additive and subtractive magic). The New World, and all the freedom of humankind, is under threat from the Imperial Order after he had brought down the barrier between the Old and New World. The Imperial Order has already sent delegations and armies into the New World. Richard's only option to stop the invasion is to claim his heritage and unite all free kingdoms and provinces under one rule and one command. Jagang, Emperor of the Imperial Order, has invoked a bound fork prophecy binding Richard and Kahlan to a fate of pain, betrayal, and a path to the Underworld. At Jagang's behest a Sister of the Dark gains access into the fabled Temple of the Winds and has unleashed a plague that sweeps across the lands like a firestorm consuming lives at an alarming rate. To stop the plague Richard and Kahlan are forced to sacrifice everything they have between them. During the war against D'Hara, a young woman meets with Zeddicus Zu'l Zorander, Wizard of the First Order, so that she can force him to pay a debt of bones he owes her and save her child. In so doing, she initiates the series of events leading up to the end of the war with D'Hara and the division of the Westlands, Midlands, and D'Hara by the boundaries.